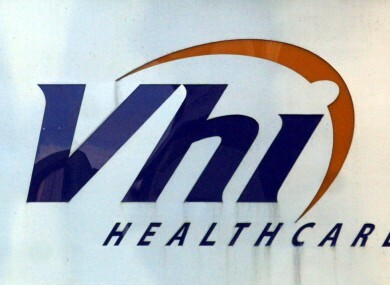 VHI HAS RECOVERED almost €7 million that was overcharged by hospitals in 2012. It said today that a total of €10.5 million was recovered, with €6.9m being recovered through Vhi Healthcare’s Special Claims Investigation Unit (SIU) and €3.6m through its third party recovery process. Its Special Claims Investigations Unit (SIU) looks at making sure incidences of error or overcharging by healthcare providers are fully investigated and rectified. Vhi Healthcare has a number of other measures in place to ensure benefit paid on behalf of its customers is “appropriate and warranted”. These include pre-verification of claims, data analytics, on-going audits, third party recovery, clinical reviews and utilisation management. Since it was set up in 2006, the SIU has recouped a total of €30 million. The company said it forms a “critical element in the overall cost containment strategy”. The SIU and has uncovered a number of cases of what Vhi believes are overcharging by providers. The company investigated each case, and if providers have overpaid they must pay back the money involved. They must also introduce a number of corrective measures to ensure that this does not happen again. If Vhi finds a number of queries or repeat occurrences of anomalies with a particular hospital or service provider, it conducts an audit. This looks at the extent of the practice, the level of monies to be repaid to Vhi Healthcare, and the “redesign of processes” to prevent any reoccurrence. Vhi Healthcare’s cost containment programme since 2009 has delivered savings of over €300m in total. Vhi is also encouraging customers to contact them directly if they think there is a mistake on their statement or if Vhi Healthcare has been charged for accommodation or treatments that weren’t received. They can contact the company on 1890 44 44 44 or email: siu@vhi.ie. Email “Vhi recovers almost €7m that was overcharged in 2012”. Feedback on “Vhi recovers almost €7m that was overcharged in 2012”.